Our world desperately needs cultural transformation. This Manifesto resets our cultural approaches and provides us with an intelligent and intuitive process to accomplish meaningful cultural transformation in which people of diverse cultures can thrive together. If followed, the process advocated in this Manifesto will create profound and sustainable cultural transformation in any organization or community. Would you like to Discuss Cultural Transformation? 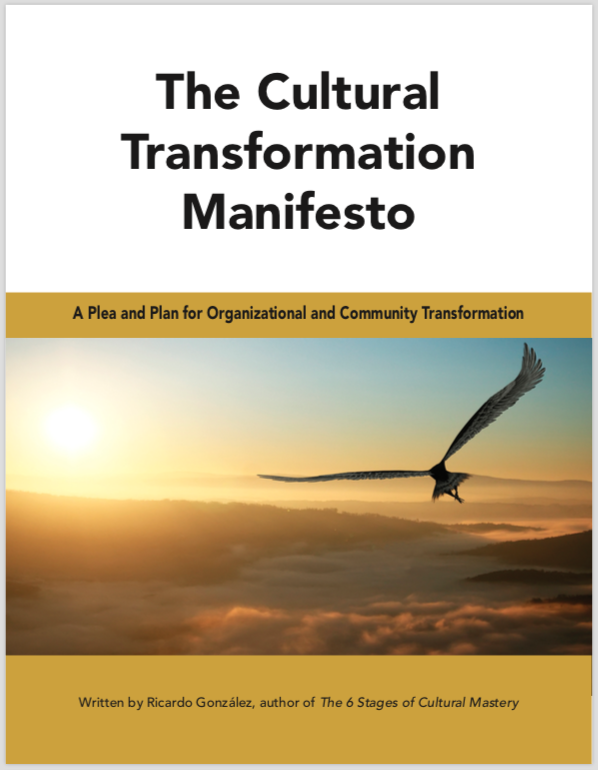 If, after reading The Cultural Transformation Manifesto, you would like to discuss creating profound and sustainable cultural transformation in your organization or community, please let us know below. If you have a specific consultant who referred you to us, please put their name here. If not, leave blank. Please tell us more about yourself and your organization or community so we might better prepare for a conversation together. If you have a specific webpage or other material, please put it here.